Ekaterinoslav (now Dnipropetrovsk since 1917), was a province (Russian, oblast) of the Ukraine, Russia, crossed by the Dnieper River, and was founded in 1786, and named after Catherine [The Great] II. Ekaterinoslav is bordered on the north by Poltava, on the east by Kharkov, on the south by Taurida, and on the west by Kherson. The Mennonites settled first in this province in 1789, establishing the Chortitza settlement with 18 villages. 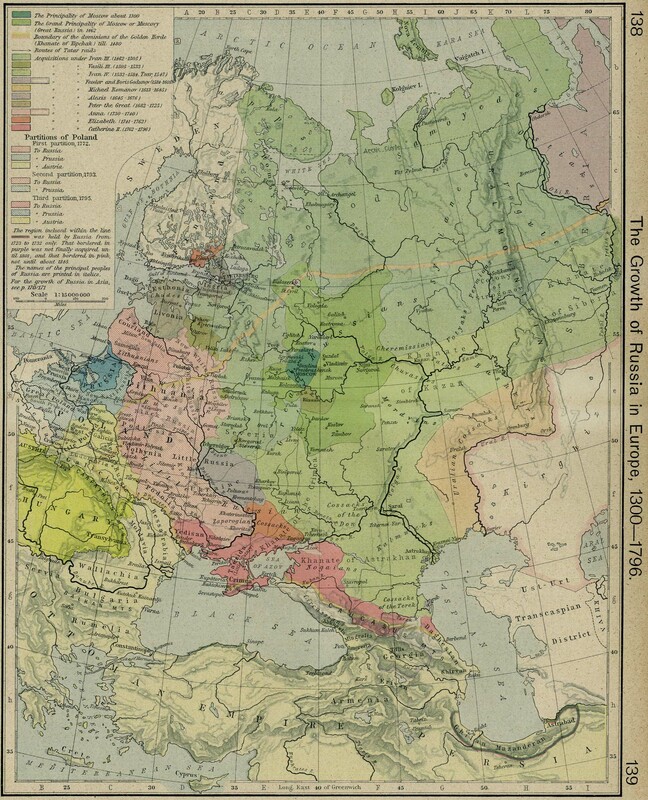 In 1772 a large part of the Polish kingdom was partitioned between Russia, Austria and Prussia. The majority of Mennonites living in Poland became subjects of the Prussian king Fredrick the Great ( Friedrich II ), and residents of West Prussia. 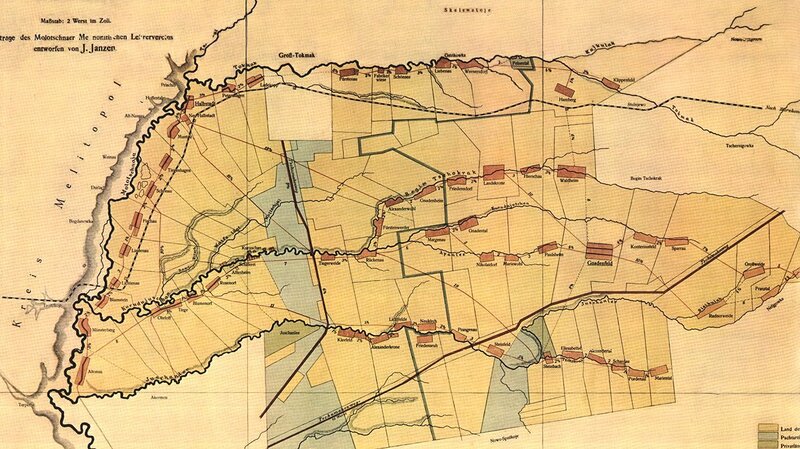 In 1776 a census of Mennonites in the newly acquired territory was undertaken. This census was known as the Special Consignation aller in West Preussen befindlichen Mennonisten Familien im Jahr 1776. Aus den von den Mennonistischen Vermahnern eingelieferten Nachrichten gefertigt vom Intendanten Schlemmer, and includes Mennonites inhabiting regions of West Prussia, with the exception of the city of Danzig, the Thorn territory, the Neumark area, and the region known as the Danziger Nehrung. The latter region was acquired by Prussia in 1793, and a census can be found at http://www.mennonitegenealogy.com/prussia/1793_Danzig_Census.htm . 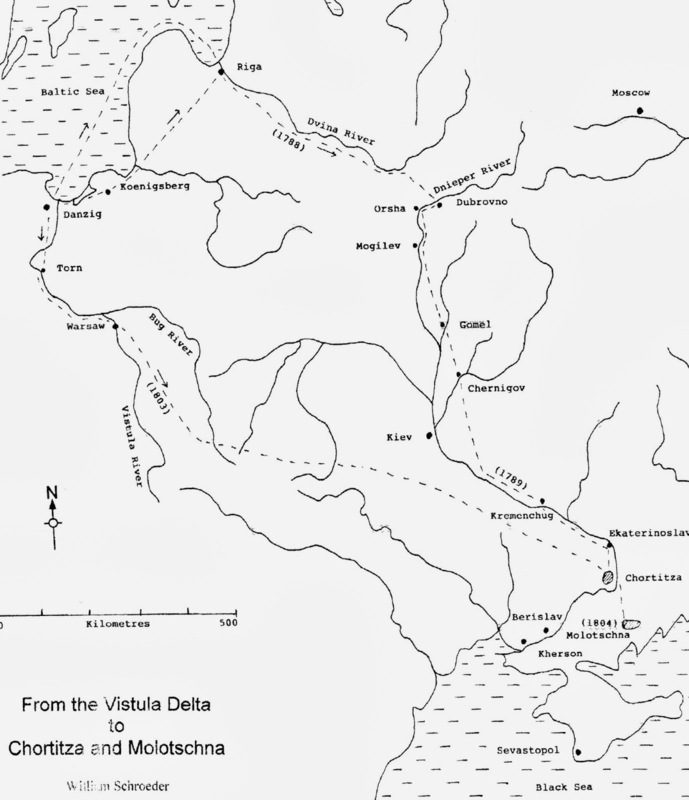 The 1776 census also contains incomplete data for Mennonites in the region of East Prussia along the Memel river (known as the Gumbinnen district near the city of Tilsit) ... The 1776 census contains information on 2638 families and accounts for 12,182 people. 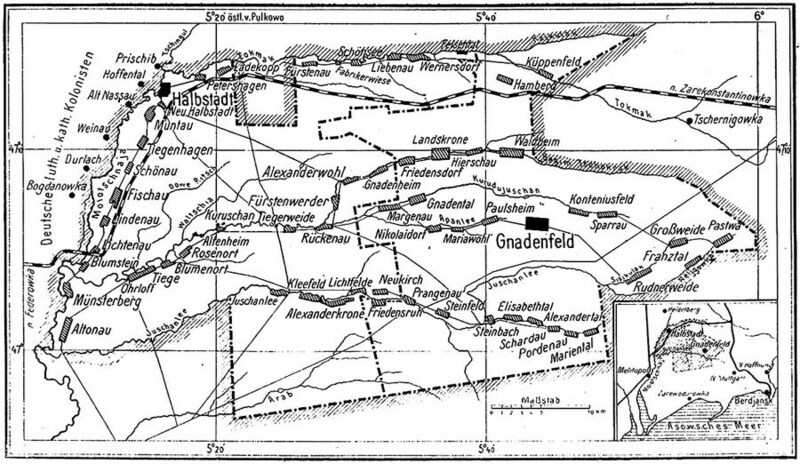 .... the many cities, towns and villages in the Eastern parts of the kingdom of Prussia where Mennonites used to live: East and West Prussia, South Prussia, and Brandenburg. The time period of 1786-1806 is of special interest. 1786 was the year when King Friedrich II ("Old Fritz", der Alte Fritz) died after a long reign since 1740 which included the annexation of West Prussia in 1772 (first partition of Poland). During his reign the first census of Prussian Mennonites was conducted which lists the names of family heads. King Friedrich Wilhelm II, nephew of Old Fritz, reigned 1786-1797 and was not as tolerant as his great uncle was toward the non-resistant Mennonites. His administration, the General-Directorium, was ordered to keep track of and record where Mennonites lived and what real estate they owned, bought and sold from and to Mennonites and non-Mennonites. In 1793 he annexed the Danzig and Thorn Territories as well as other parts of Poland which he called South Prussia. King Friedrich Wilhelm III, his son, reigned from 1797-1840 and continued the policies of his father as far as Mennonites were concerned. In 1806 disaster struck Prussia when Napoleon swept over Europe which resulted in the defeat of Prussia. The General-Directorium was dissolved in 1806 which had been established in 1722. 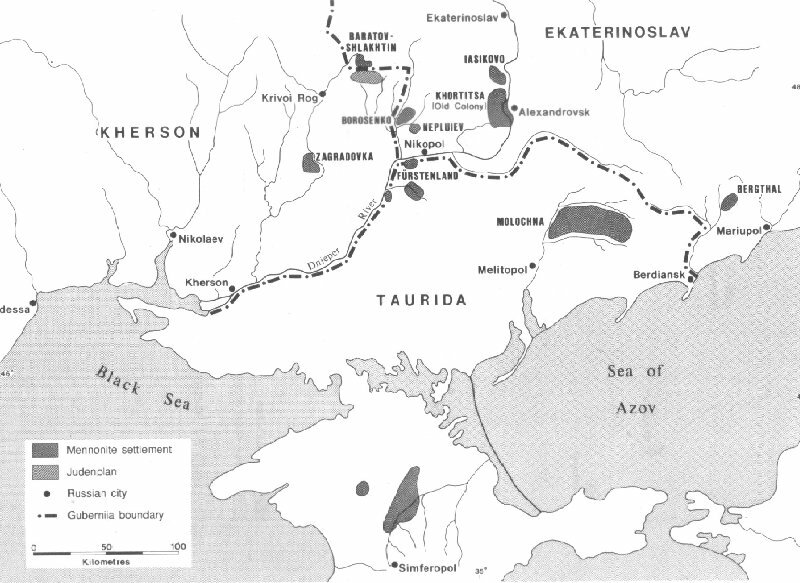 The Mennonite settlers traveled over one thousand miles from their homes in West Prussia to the area about 120 werst (80 miles) north of the Black Sea port of Berjansk, where the Molotschna colony was located. The original Molotschna settlers made their journey in small groups of covered wagons. A total of 162 families arrived at the Chortitza Mennonite settlement in 1803 and another 162 families came in 1804.